You’ll see exactly what he means if you visit the historic centro district in the early morning or late afternoon, when the sun isn’t quite as determined and you can take your time walking through the elegant plazas and down the side streets, past block after block of candy-colored homes and grand colonial mansions with wooden balconies just wide enough for a hammock, many built around the time of Cervantes. While Cartagena has long been a favorite escape of moneyed Colombians, the civil and drug wars of the past few decades made the city a no-go zone for foreigners, even though it was largely removed from the violence. (The rumor I heard again and again was that the drug lords in Cali and Medellín made a pact to keep their war out of Cartagena—it was their shared playground.) But in 2002, newly elected President Álvaro Uribe went after the leftist-guerillas and cocaine cartels with a vengeance and by 2007 he announced that the country had moved from terrorism to tourism. 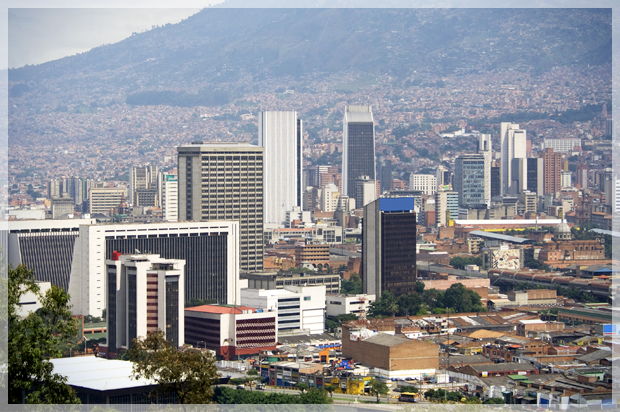 The economy started heating up and those wealthy Colombians who had stayed away during those dark days came trickling back. There are still some very dangerous corners of Colombia, to be sure, but crime in Cartagena’s popular precincts is limited mostly to pickpocketing and the like, as it is in most heavily touristed places. I spent much of my time walking around the city alone and was never once hassled or felt a hint of any danger. Now, hotels are sprouting up all over the city and the number of foreigners arriving for a look has nearly doubled over the past five years. In Getsemaní, the once-rough, now hip barrio a short walk from the Old City, there’s talk of a Four Seasons and a Viceroy hotel opening in 2017. JetBlue began direct service to Cartagena from New York’s JFK in 2012, and from Fort Lauderdale last October, shuttling in all the Americans I see slurping up the (excellent) ceviche at the sliver of a restaurant El Boliche or shopping for big-print, tiny bikinis at the chic St. Dom boutique. The Cartagena of my imagination was a place of romance and ruin, informed by reading Gabriel Garcia Marquez, who kept a home here from the 1990s until he died last year. The city he describes in “Love In the Time of Cholera,” which is clearly inspired by Cartagena, is a “sleepy provincial capital” with haunted old slave quarters, crumbling palaces and narrow streets that smell of night jasmine. But as so often happens, reality intruded and I spent my first few hours in town more alarmed than charmed. I quickly caught on that the city is now a popular destination for bachelor parties—rarely a good sign. I saw a large tour group fending off emerald dealers near Santo Domingo square. As we rounded a leafy little park named for an Independence hero, my guide, Nina Schlieper, a German transplant, pointed out her least favorite new arrival: a kitschy Russian-themed bar named KGB, where the waitresses’ outfits are modeled after Soviet-era military uniforms, only skintight, and photos of Stalin hang in the window. The next morning, though, my doubts began to fade. 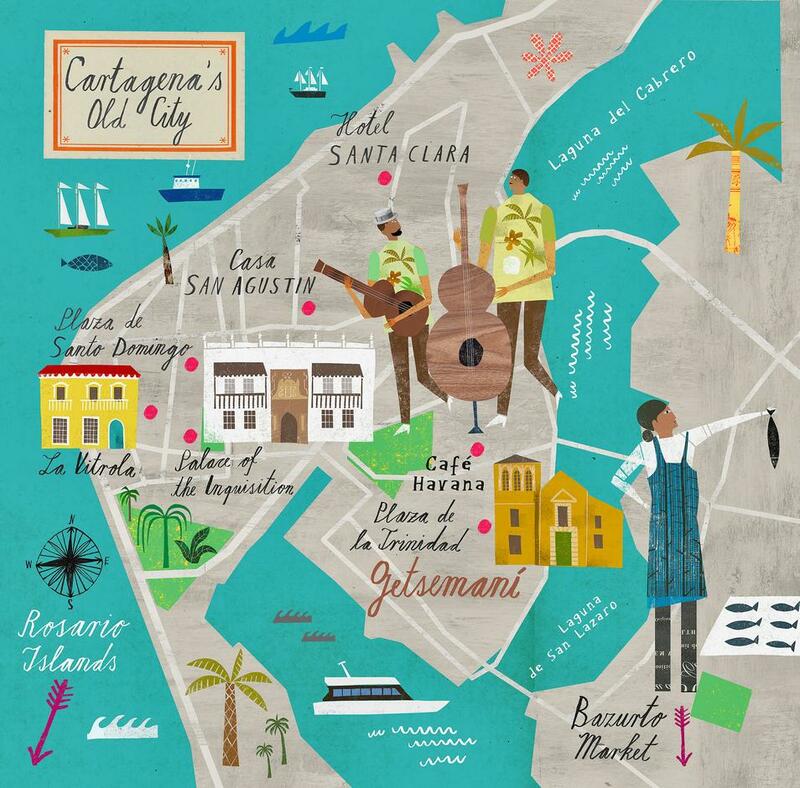 By half past 8, I’d plunged into the “real Cartagena,” as Ms. Schlieper put it. She led me around the Mercado Bazurto, a sprawling web of butchers, fishmongers, fruit sellers and herbalists outside the Old City, in Cartagena’s throbbing, sweaty commercial center. There was not another tourist in sight and I was giddy at the spectacle, snapping photos of fruit like a lunatic and marveling at the mounds of fresh fish that sparkled like jewels. I saw half a dozen storks—as tall as toddlers—standing on the tin roof of the market, stared at piles of cow eyeballs that stared back at me (they make a tasty soup, I’m told) and bumped into a grocery cart stacked with cow heads. For breakfast, we headed to one of the tarp-covered, makeshift restaurants where the local vendors eat, and where I washed down a fried slab of sweet, fleshy mackerel and a thick wedge of yucca with chilled sugar cane juice. By dusk, I had been seduced. Back in the Old City there was a delicious sea breeze and the city’s walls glowed like honeycombs in the waning light. The sound of the waves slapping against the shore echoed across the cobblestones along with the clip-clop of horses that pulled carriages with lighted lanterns mounted on their sides. The Palenque women, descendants of escaped slaves who sell fruit and wear ruffled, brightly colored dresses, were packing up their pineapples and mangoes and heading home. 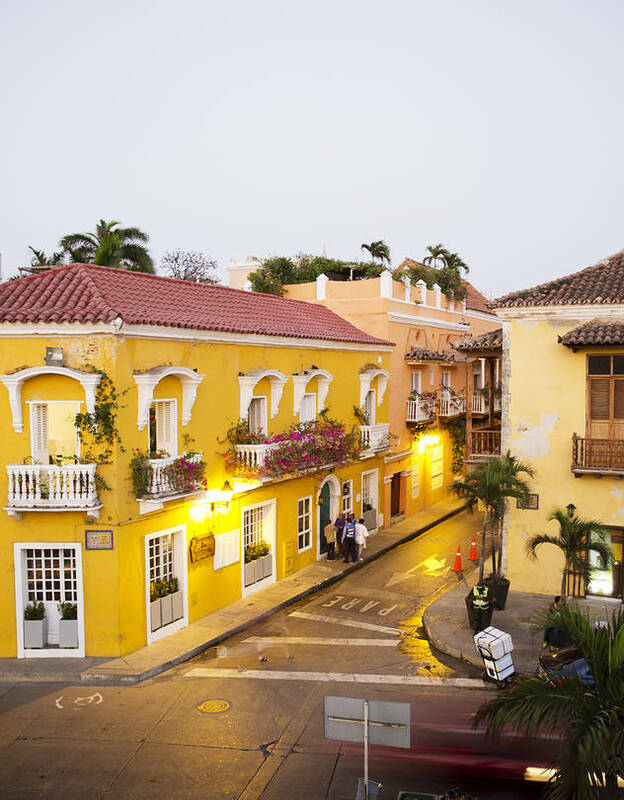 Much of the credit for the restoration of Cartagena’s Old City goes to Gloria Zea, Colombia’s former minister of culture and the first wife of Colombia’s most famous artist, Fernando Botero. In 1976, Ms. Zea bought a 16th-century home on Calle Don Sancho, in what was then an almost entirely abandoned neighborhood. “She was the first one to say ‘We need to take care of Cartagena,’” said her daughter, interior designer Lina Botero, who now owns the house—an exquisitely restored 10-room villa—and recently began renting it to visitors. “The entire walled city was whitewashed as protection against the plague and when the restorers removed a century’s worth of paint they found all of the beautiful ocher and blue and salmon colors you see today,” Ms. Botero said. The Getsemaní neighborhood, just outside the historic center, is now undergoing a renaissance of its own. 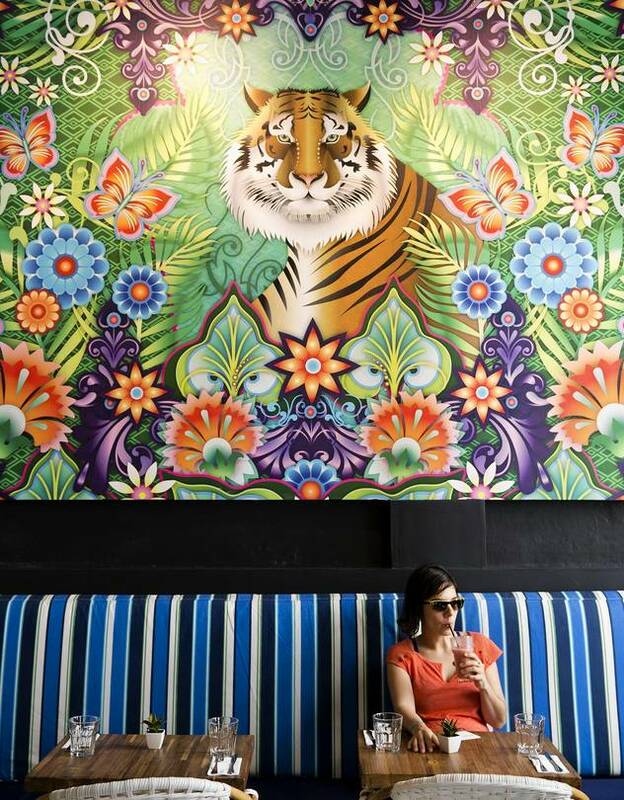 Walls are covered in street art that’s auction-house worthy, and trendy little restaurants and bars are opening all over the quarter. The center of the action in Getsemaní is the Plaza de la Trinidad, a central square in front of a 17th-century, marigold-colored church where all of Cartagena seems to gather at night to enjoy the cooling tradewinds. I was planning to have dinner at Demente, a tapas place on the corner of the square, but never made it. Instead, I wound up sitting in Plaza de la Trinidad, on a bench under the skinny palm trees, next to a little boy with a mango ice pop and his elegant granny. At a cart near the front of the church, a woman in leopard-printed leggings was making mojitos and Cuba Libres with fresh lime. The place was packed but it felt more festive than crowded—like a spontaneous block party, with champeta music spilling out of a nearby restaurant, and dozens of street-food stands. I hear there are salsa dancers on the plaza some evenings. For dinner, I happily settled on a 25-cent empanada and a cold Club Colombia beer and vowed to return for the arepas the following night. Anyone coming to Cartagena expecting to head straight to the beach will be disappointed: The sand ringing the city is gray and the water is a cloudy blue. The best beaches are all in Rosario Islands National Park, an archipelago about an hour’s boat ride offshore that I found myself hurtling toward on a Sunday morning aboard a speedboat named Black Thunder. With me were a man named Rainbow, a dog named Pineapple and a three-year-old with a large water pistol. Rainbow Nelson, a British journalist, founded the tour company and online travel guide This is Cartagena three years ago and knows the best spots in the city. Our first stop, the Gente de Mar beach club, is on Isla Grande. The sand was white as talc; the water pale green and clear as glass. There were other tourists on the beach, but not many. In between dips, I sat on a lounge in the shade and felt a little greedy for hoping that the rest of the world stays away. Our next beach was Playa Blanca, a three-mile long crescent backed with thatch-roof bars, restaurants and backpacker huts for as far as I could see. Rainbow told me it was nearly empty just a few years ago; that day it was chockablock with boats bobbing in the emerald surf and sun-worshippers sprawled out all over the sand. Rainbow and I were drinking our coconut cocktails on one of the giant day beds set up on the beach, when I noticed a pack of mostly pasty people —maybe 40 or so—gathered a few feet from us and speaking English. Turns out it was a group of Google employees from around the world on a weekend jaunt in Cartagena. A thatched-roof Starbucks can’t be far behind. Holiday planning starts with a bit of inspiration, beyond the well-trodden territory of tropical beaches and European cities. Looking for a different kind of vacation in 2015? It’s the year to hike the Southern Alps of New Zealand, head to the Bahamas, or visit Cuba for the first time. Here are Condé Nast Traveler editors’ top picks for where to go in 2015.